Chapped lips, dry skin, and nasal congestion happen to everyone! 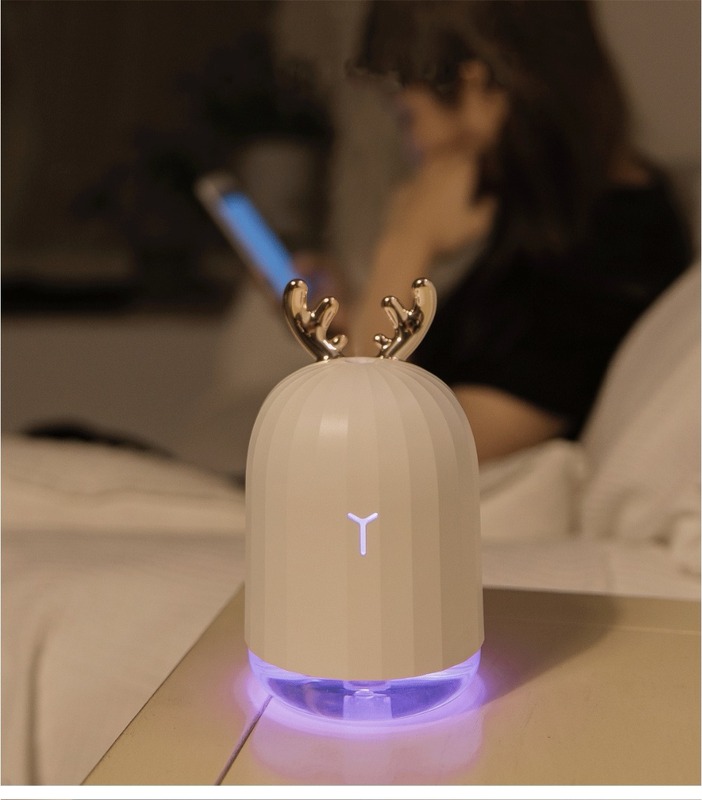 This cute little Air Humidifier turns water into a cool mist and adds moisture to the air preventing dry skin and other health issues. Aromarkle's small size makes it easy to take with you anywhere and it can be easily powered using any USB interface. You will never have to worry about dry skin again! Portable and lightweight: AROMARKLE™ is extremely lightweight and available in two cute designs. Going on a trip or need a small humidifier for your office? You can easily carry it on the go. Ultrasonic Technology and Smart Design: AROMARKLE™ features ultrasonic technology and work its magic silently. Now you can work or sleep without any disturbance. It is super quiet and effectively kills bacteria in the air using nanometer atomization technology. 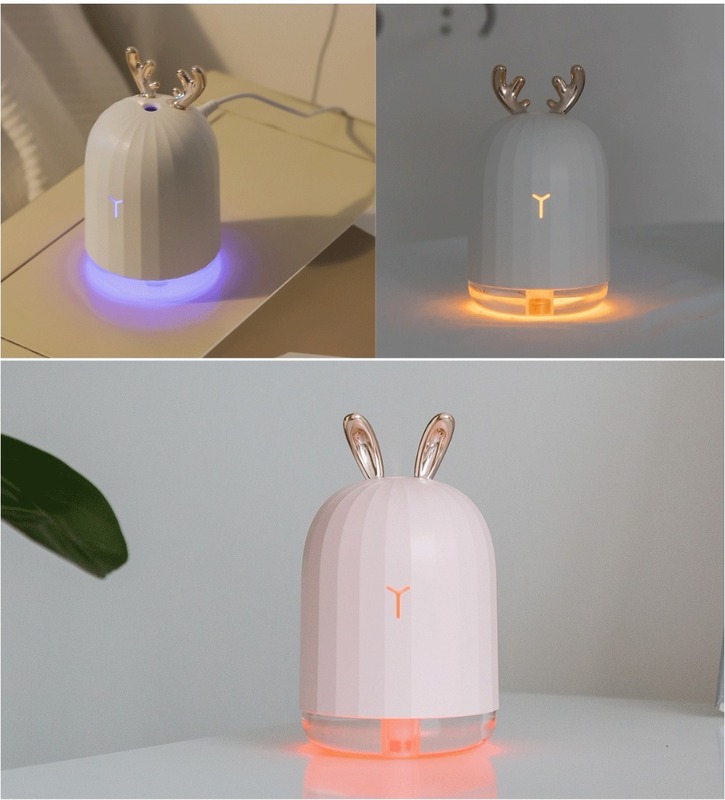 Attractive design with LED Light: It comes with color changing LED lights and can be used as a cute night light. When you turn on the AROMARKLE™, LED light turns on automatically. Hold the switch button(3s) for the first time to stop changing colors. Hold the switch button(3s) for the second time to turn off the light. USB Powered and Safe to use: Simply connect AROMARKLE™ to any USB sources like a car charger, power bank, computer, laptop, etc and enjoy 4 hours of continuous spray. When the water level is low, the diffuser shuts off automatically to prevent any damage or overheating. Easy operation: One-button touch switch makes the operation very easy. Simply open the cover, add 220 ML water, connect it to any USB device and turn on the power to get started.